Spend more time on your Boat! Need more time on your boat instead of sweating on your lawn? Why not let a robot to make your life more enjoyable? There is only so much time in a week that must be divided between family, work and fun. Our robots will allow you to have a few extra hours of free time each week to do the things that you WANT to do! Spend more time fishing, spending time with your family or just relaxing on your boat. All of these robots are so user friendly that ANYONE can operate them! Why spend a 90 degree day pushing a lawn mower around when you could be enjoying your boat. 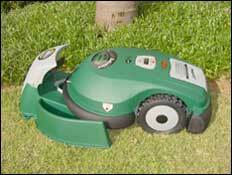 With the Robomower, all you have to do is push a button and this robotic mower will do the rest. 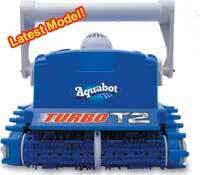 Get even more time on your boat..
Another chore that everyone just hates is vacuuming the pool. With the Aquabot line of robotic pool cleaners, you can simply plug it in, drop it in the pool and do more fun or productive things with your day. Click here to learn more about the ultimate in pool cleaners. We would rather be fishing on a boat than cutting the lawn or cleaning the pool. We think you will too! Copyright 2004 All Rights Reserved.